Don't you just hate it when you're getting into the big fight on TV and suddenly Peppa Pig rocks up to steal the limelight? That's exactly what UK-based MMA fans were faced with this morning (September 30) as they enjoyed the Bellator 206 MMA on Channel 5. The programme was being broadcast live from the US and the event ended up overrunning, meaning that just as the main fight between middleweight champion Mousasi and welterweight champion MacDonald was about to begin, coverage in the UK abruptly cut out. 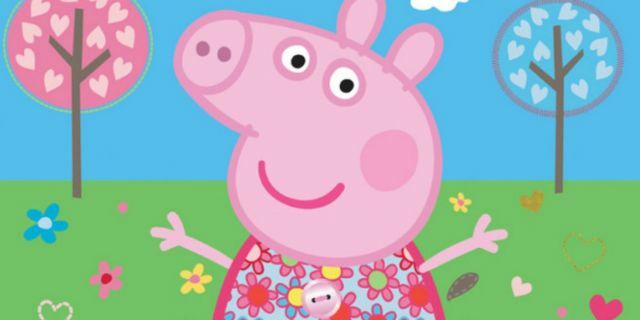 Viewers who had stayed up overnight to watch the event were left outraged when the channel suddenly began showing children's cartoon Peppa Pig instead. Bellator officials have said that they were very unhappy about the cut in coverage, with Bellator MMA president Scott Coker saying: "Believe me there were emails going back and forth and they were not friendly." However some viewers were understanding of the situation, which occurred because there is an Ofcom watershed in place which prevents programmes rated as 15+ running past 6am.